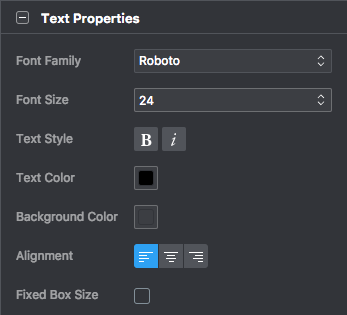 How to work with text in the editor? 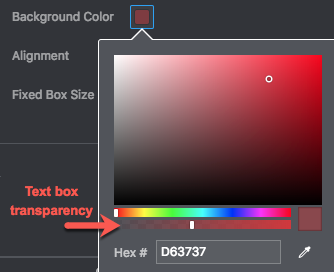 Resize the text by resizing the bounding box around the text on the Stage. Or, change the font size using the Font Size box. 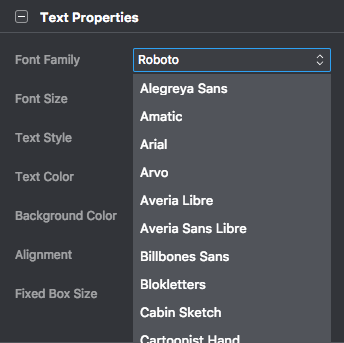 Multiple users belonging to a company or organization and having an Enterprise subscription (minimum 5 users) can also have their own unique company library with custom fonts. 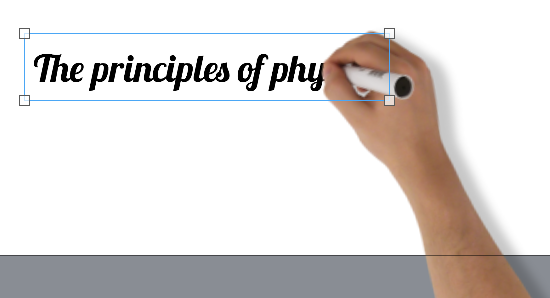 You can also change the text style of individual words into bold or italic by clicking the icons next to Text Style. In the same way you can add animations to graphical objects, you can also add animations to text objects. First select the text object you wish to animate in the Timeline, then click the Add Animation button. 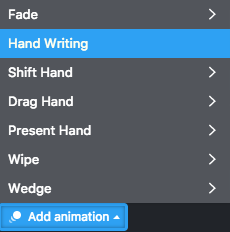 Once a Hand Writing animation is applied, you will be able to switch hand types in the Properties panel (Animation Properties). What's in the Enterprise subscription?